Welcome to Sanford Middle School! ¡Bienvenidos a la Escuela Intermedia Sanford! We are proud to celebrate 90 years of history as a part of an ever changing, lively river community with a rich multicultural heritage, located in the Longfellow neighborhood in southeast Minneapolis. Sanford is an authorized International Baccalaureate (IB) World School. We follow the middle school model serving grades 6-8. Come visit us at 3524 42nd Avenue South. We would love to see you. Our school day is 9:30am-4:00pm for students. Our before-school morning program runs 8:00am-9:10am with breakfast from 9:10-9:30am Mon-Friday, and our after-school programs run 4:00-5:30pm, Mon-Thurs. Dinner will be 4:00-4:20pm. There is no cost for before/after school programs. 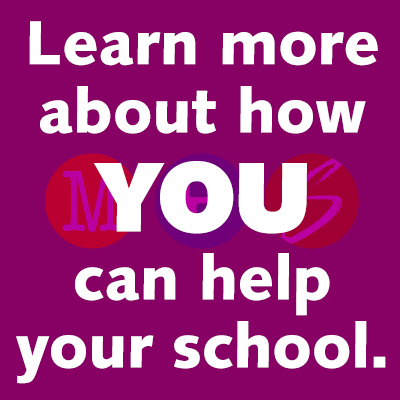 If you are interested in touring Sanford, please contact our Family Liaison Mara Bernick at mara.bernick@mpls.k12.mn.us or 612-668-4914. We welcome your visit! Congratulations to Eyala Elate and Aysa Sundance Cavell! Your student CAN come to school starting at 8am on the first day, here's what to do on Monday August 27th. History Day - State & National Winners! Click here for details & results from the 2018 State & National competitions! Sanford students took first place at both state and nationals! Check out Sanford's Hawk Team students sharing "This is what community looks like" as part of an #MPSStrong video! Sanford is proud to be an IB World School with a focus on global citizenship. Click for more info about our annual trips abroad! There is lots to love about Sanford Middle School - check out this video to see us in action! Congratulations to all the staff, students and parents who participated in the hard work of implementing the International Baccalaureate (IB) Middle Years Programme (MYP) at Sanford, and in the IB authorization visit in May! Click to see the authorization letter from IB that we received on 6-17-15. Click here for details and class options for after school programs.